My nails have been in a bit of a state lately, my health hasn't been great and cold spells of weather haven't helped either, resulting in nails which keep breaking off and definitely are not worth painting. Therefore, I treated myself to a few nail treatment products from Essence, as they are one of my favourite drugstore brands as you cannot beat their prices and quality. 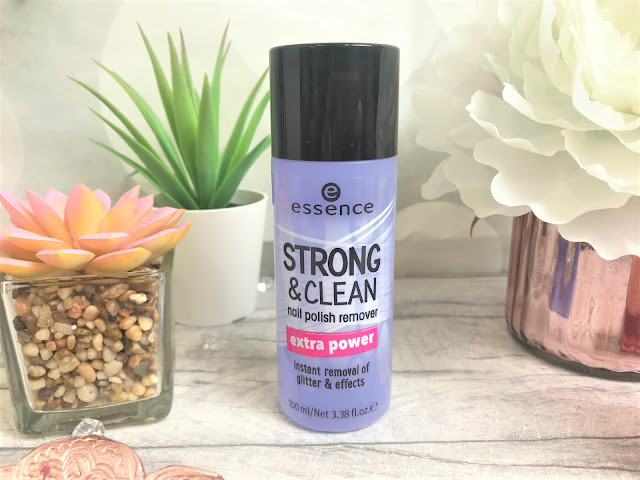 When it comes to nail polishes, glitter is everything to me, but we all know what a bugger it is to remove, so when I discovered the Essence Strong & Clean Nail Polish Remover Extra Power (£1.80), I was like oh hi, how are ya? This nail polish remover has an extra strong formula which removes glitter polishes, and stubborn nail colours. I would say because it is a strong formula to ensure you treat the nails afterwards to stop them from drying out, but if you like to live a life full of glitter, then this is a must for you. A couple of cute nail treatments I picked up are the Essence My Beauty Nail Ritual Sugar Peeling and Jelly Mask (£2.30 each). These have the sweetest packaging and the Jelly Mask is suitable for moisturising the nails and cuticles and the Sugar Peeling is perfect for removing any dry skin along the cuticles or any dryness on the nails. They are super quick and easy to use and smell juicy and fruity. I then chose three different nail treatments, the Anti-Split Nail Sealer, the All In One Ridge Filler and the Nail Caring Oil. The Essence Anti-Split Nail Sealer (£1.80) is fast-drying and provides protection for brittle nails, which can be used as a base coat or on its own and gives the nails a nice smooth base for more precise polish application. 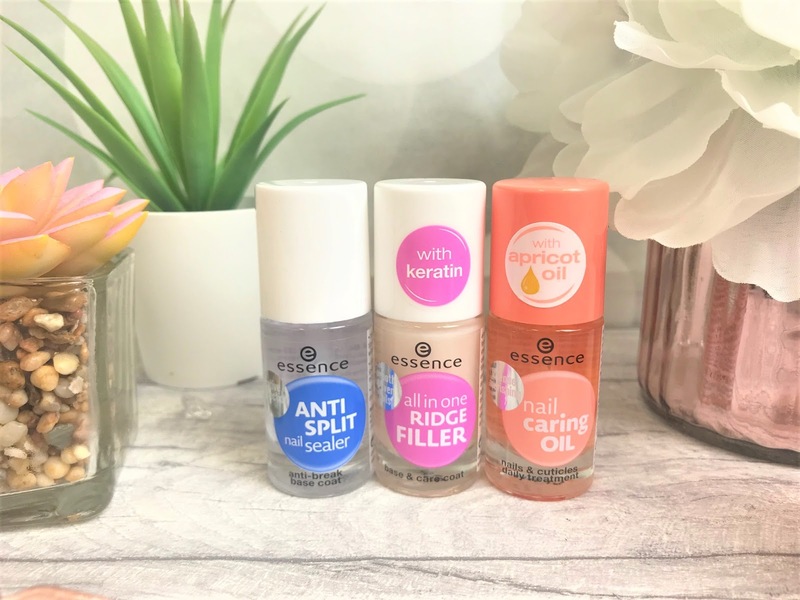 I picked up the Essence All In One Ridge Filler (£1.80) because due to my Severe Endometriosis, my health is never all that great which affects my nails, skin and hair, and so my nails often have ridges in them, and so this is a great way to even out the nails before applying polish. It also contains Keratin so that it also works as a treatment to strengthen the nails. Finally, for an extra bit of nail care, I bought the Essence Nail Caring Oil (£2.00), which when massaged into the cuticles can help to stimulate nail growth. It can be used with or without polish, and I find it a nice relaxing one minute addition to my night-time routine and it leaves your nails scented with apricot oil. You really cannot go wrong with Essence, I honestly don't believe they get as much applause as they should. 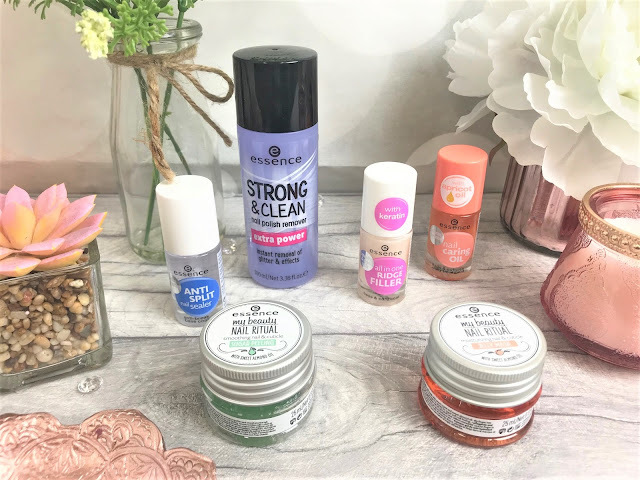 They are constantly releasing new products, and are often just a couple of pounds per product, but also they really do work. This whole nail collection cost me just £12.00, and you couldn't even walk into a salon and have a regular manicure for that. 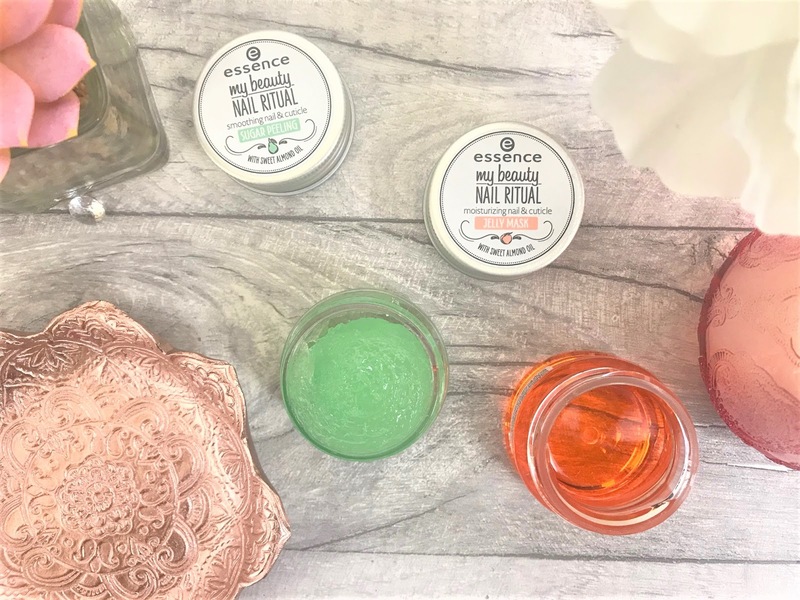 Essence can be found in-store or online at Wilko.